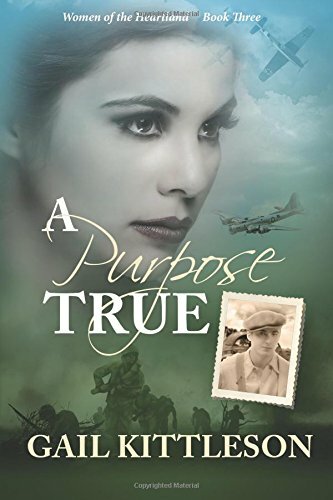 A Purpose True by Gail Kittleson is a wonderful epic Christian historical read. It is the third and final book in the Women Of Heartland series and what a marvellous end it was. With action alternating between 1976 and the second world war years, from the shores of America to the French countryside via London, the reader is in for a real treat. 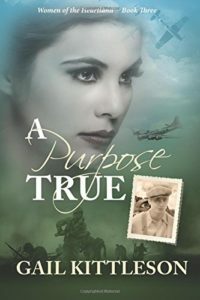 The novel continues to follow the S.O.E operative who paired with the French resistance to fight against the Nazi occupation. Their mission is to disrupt Nazi movements rather than direct combat. The reader witnesses some awful atrocities – atrocities that leave characters nursing nightmares for years. 1976 shows that the fight to bring the perpetrators of evil to justice, continues. 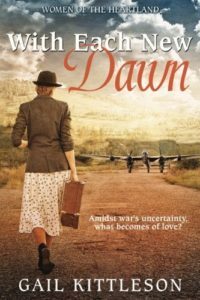 With Each New Dawn by Gail Kittleson is a marvellous historical tale set during 1943-44. It is the second book in the Women Of the Heartland series but can be read as a stand-alone. The reader is not only entertained but educated as fact meets fiction within its pages. The action alternates between worn torn London and occupied France. Likewise the point of view alternates between best friends Americans Addie and Kate and is told in the third person. As an English woman and historian, I enjoyed recognising both familiar locations and also historical facts. I was truly in my comfort zone. 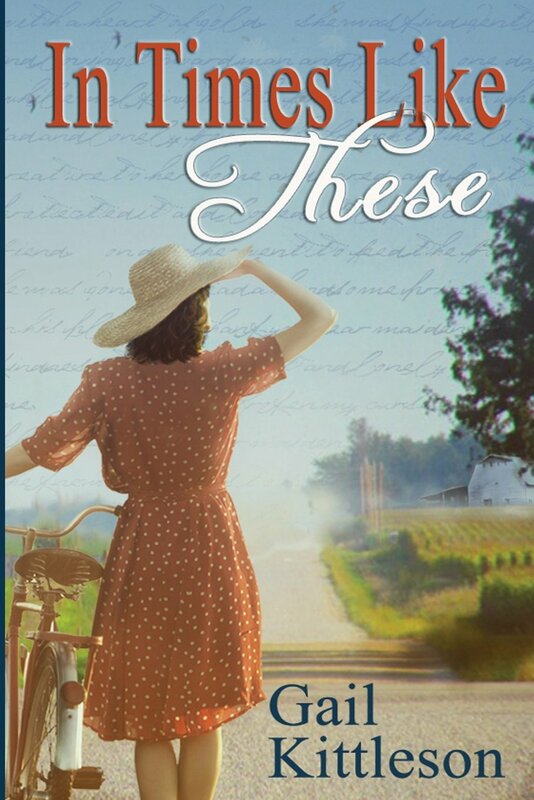 In Times Like These by Gail Kittleson is a fantastic Christian historical read. the book is set in Iowa between December 1941 and spring 1943 and it follows the fortunes of young wife Addie. The descriptions of Addie’s farm and countryside are so well depicted that the book really comes to life. For the reader it is less about reading and more about walking through the novel. Addie is wonderfully drawn and captures the reader’s heart immediately. She is a gentle young woman married to Harold who verbally bullies her mercilessly. “Those taunts stole her peace.” Addie spends her life in fear, fear of saying or doing the wrong thing. Addie has let Harold’s words and labels define her. Gail Kittleson shows how important it is that we do not live in the shadows of the words and labels that others give us. We have a God Who loves us and does not want us to live in fear. “I’ve spent my whole life in fear instead of living each day.” Addie needs to realise she is more than the words spoken over her, she is a child of the living God. 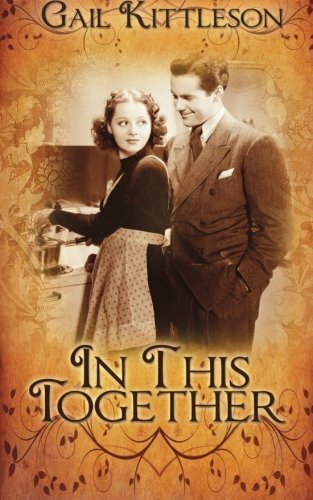 In This Together by Gail Kittleson is a wonderful Christian historical novel set in Iowa in the aftermath of the war and I absolutely loved it. In This Together is a story that really wrapped itself around me and spoke to my heart. 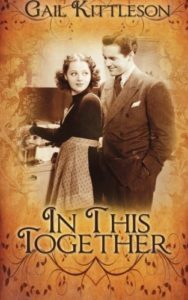 In This Together focuses on Dottie and Al, both of whom have lost so much… both their spouses died and Dottie’s son Bill got killed in World War II. They have every reason to be bitter but they are delightful, enjoying each day as it comes. “Makes you think – makes you appreciate things more.” The two neighbours have a half full glass outlook on life. They are in their twilight years but have a very positive outlook. They enjoy life and laughter. The novel is an everyday story of small town America, telling tales of friendship. It is a beautiful, gentle story of life and second chances.